Two things are taking over the world today… Millennials and mobile phones. Growing up in the digital era, Millennials are a part of the ongoing technology evolution not only within their social lives but also at work. 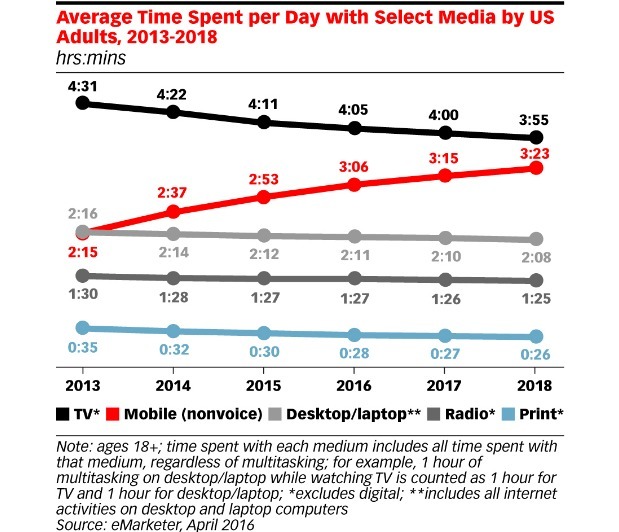 As mobile usage increases, Millennials (and every generation that follows), will continue to demand faster, more convenient ways of communication. They’re bouncing between client emails, messaging apps, and posting on Instagram, within minutes on their phone, every day, all throughout the day. According to OpenMarket, 83% of millennials open text messages within 90 seconds of receiving them. Considering 6 BILLION text messages are sent every day in the US, you can imagine how often your employees are picking up their phones in the office. But Millennials aren’t the only people driving smartphone usage. According to the Pew Center for Research, 95% of Americans own a cellphone of some kind, and 77% of them own smartphones. Mobile usage will continue to increase, and those companies who embrace the evolution will be the ones who can increase engagement and optimize productivity. In order to assess employee mobile communication at your company, as well as develop effective programs for improvements, you need to understand the data behind it. That’s why we’ve compiled a comprehensive list of mobile usage statistics. Without sounding the “if you can’t beat them, join them” alarm, it is critical that global communication teams get a handle on how to best communicate and engage their workforce. Technology will keep moving forward, and it’s important your communications strategy follows suit. Realizing that so much time at work is spent on the phone, ask your team the question of how you can maximize screen time to benefit your business?